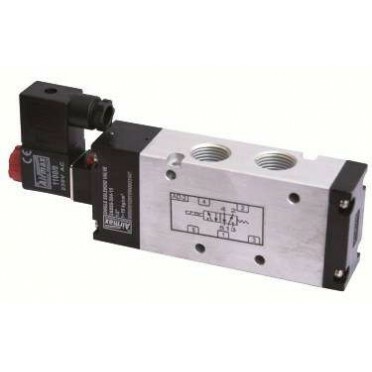 Compact Design 5/2 Way Single Solenoid Valve 1/4"
Specifications :Seal : Nitrile / RubberSize : 1 InchBody: AluminiumPressure Range: 2.5 to 10 Kg/cm²T.. Features & Specifications :5/3 Way 3 Position Hand Lever Valve Spring CenterSize : 1/2 InchPress.. Features & Specifications :4 Way 3 Position Disc Rotary Valve 1/4"Size : 1/4 InchPressure Range ..